Thank you everyone for all of your compassionate prayers, and well wishes. I'm hoping to be in a more regular routine again now that we are back and the girls will both be in school, so I will have more time to visit blogs and respond to emails after the weekend. You have all been so patient, kind and faithful to my blog, I appreciate it more than you know. What a summer it has been! I'm happy to hear you are home, I hope things get more back to normal for you. 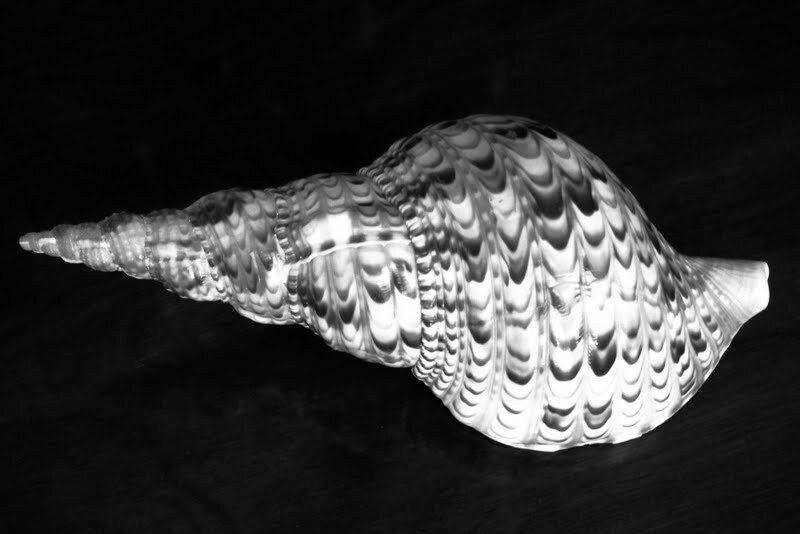 A lovely shell with exquisite details! Have a rest! You've earned it! It's so true, "Home is where the heart is". I can imagine how good it feels to be home, and to return to routines that are comforting. Be well and rested. I'm glad you are at home, Laura. Let the warmth and love of home bring you lots of joy and happiness. Beautiful black and white photo. rest, and be refreshed, friend. That shell is so beautiful Laura, and you've photographed it so well. Must be great for you to be home. Great image Laura. Glad to hear that both of you are home. I hope all went well for both of you! Home - a place of comfort and space allowing one to just be. Be well Laura. I look forward to more of your posts. A shell is a refuge, isn't it? Wonderful detail in your photo, Laura. I have been absent from the blogging world all summer, and I have just been updating myself. Dear sweet, gentle Laura, what can I say? Your ability to find the positive aspects, and gratitude, in everything that happens to you is an inspiration to me. You are awesome, and so is your blog!